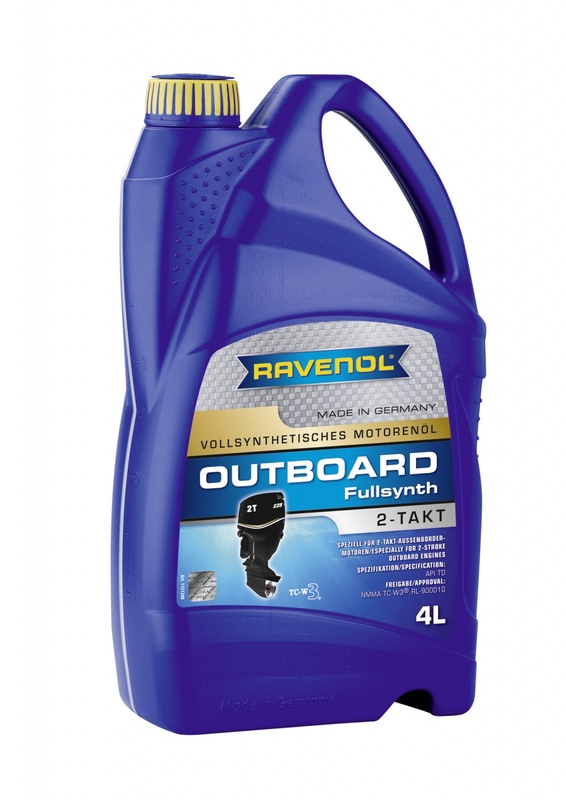 RAVENOL Outboard 2T Full Synth. is a fully synthetic high performance 2-stroke engine oil formulated with a high quality blend of polyolesters and PAO with an ash less additive package for optimum lubrication and excellent corrosion protection. Meets the requirements of, and is approved by, the National Marine Manufacturers Association NMMA TC-W3® (Yamaha CE 50S, Mercury). RAVENOL Outboard 2T Full Synth. is especially designed for outboard engines with or without Direct Fuel Injection (DFI) Systems in water-cooled outboard engines with separate (Auto lube systems) or mixed lubrication, including OptiMax (Mercury), E-TEC (BRP: Evinrude and Johnson), HPDI (Yamaha), TLDI (Tohatsu, Nissan Marine) and DFI (Selva). Recommended where TC-W3 specification fluids are required in all outboard engines according to the prescribed mixing ratio from the engine manufacturer. Suitable for use in engines operating in both fresh and sea water environments. Typical mixing ratio 1:100, but please follow the engine manufacturer's recommendations..